New We Are Chester contributor Andy Tabberer pays a visit to The Chester Food Assembly to see just what all the fuss is about – and the rest of the We Are Chester team are jealous – extremely jealous – in an ever so hungry and all out drooling sort of way. Ah, the Chester Food Assembly. I first heard about this on Twitter, as you do. My curiosity was piqued. Things like this don’t usually happen in Chester. I felt compelled to find out more. So I popped along one Monday night with my pen and paper in tow. 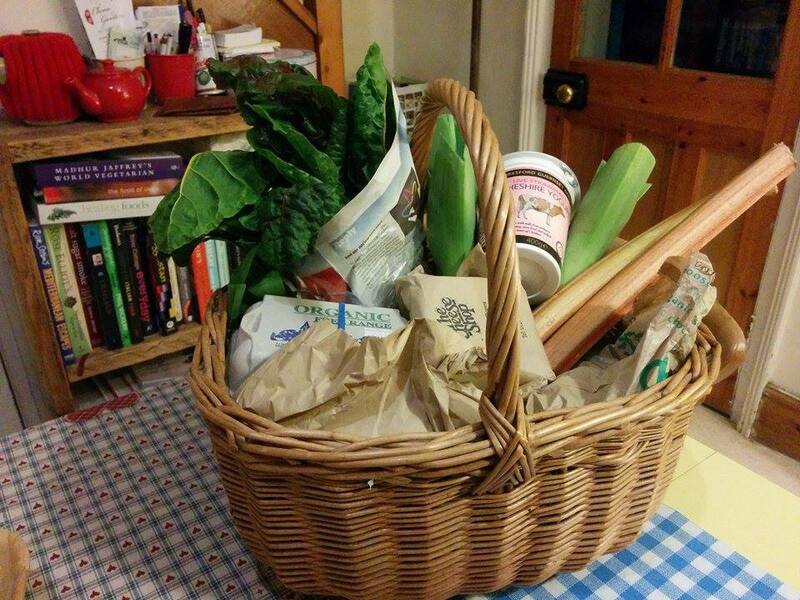 The Chester Food Assembly (CFA) began life in September 2014. 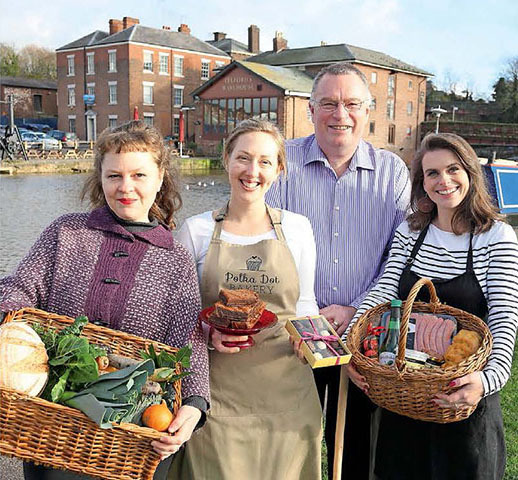 Set-up by Katie Lyttle, the CFA brings amazing food – direct from the farmers, bakers, growers and makers – to the beautiful surrounds of Telfords Warehouse. Katie acts as *the Host*, responsible for growing the local membership and nourishing their loyalty. She’s supported by a *Co-Host*, Lisa Payne, the owner of Oakcroft Organics. They’re an unlikely pair. Bright and bursting with positivity, Katie is an ex-teacher who dreamed of a better life, a better way of working – and apparently the long holidays were a drag. Then there’s Lisa, the unlikeliest farmer in the world – her words, not mine. A designer from that there Landon that’s been there, done that, bought the postcard, designed the t-shirt, gave up the lifestyle, moved to Cheshire, and became an organic producer. Remarkable. It reminds me of the story of a top lawyer who quit his job to join the circus. These things happen, apparently, and amen to that. The CFA is a showcase of top quality produce – meat, veg, dairy, fruit, bread, beer and chocolate – with the focus on *local* and *sustainability*. All the producers are located within a 40 mile radius. All the food is pre-ordered so the producers only harvest what’s need, which reduces waste. Each producer sets their own prices based on what’s fair for them and good for local economy. 92 pence of every pound spent stays local, too. The CFA takes place each Monday 6-8pm. During this time customers can collect their pre-ordered food and have a chinwag with the producers and their follow GFA members – there are currently 1063 members and counting. Once a month there’s a pop-up market where you can pick up a few luxury bits, and try before you buy a box. And, because it’s held at Telfords, you can have a pre or post-collection drink – they do some pretty nifty beers. Perfect! These tempting delights await you. Cashmere moments, ahoy! Fire up the ole ‘puter and hit the Food Assembly. Select to join the Network. Time to enter yer deets, you know the drill: name, address, post code, email, password and stuff. Right, you’re in. 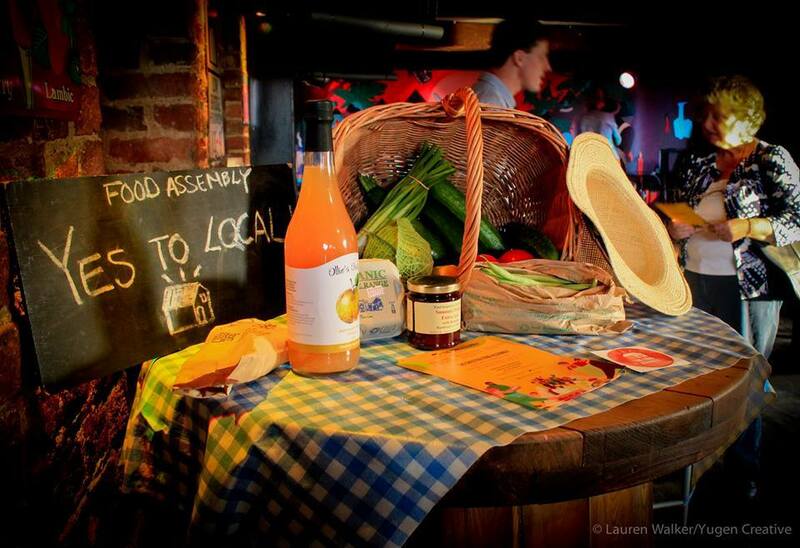 Find your Assembly – that’s sunny Chester – and local, seasonal, sustainable and ethical food choices are now just a click away. Hit *Choose the Products*. Now order away to your stomach’s content – I ordered butter, sausages, steak burgers and some miracle bread (Ed’s comment: Now we really are drooling!). Easy peasy. If you care about the planet, shopping locally, eating the right things, animal welfare and organic food – all or any combination of – then get ordering pronto. We’ve waited a long time for these type of actions to hit Chester’s shores. Embrace it, like a lover, my friends. PS If you want to help this worthy cause spread its wings, then check the Good for Nothing Chester meets Chester Food Assembly – a 24 hour gig to create, hack, design and collaborate on disassembling the GFA and re-assembling it into a bigger, stronger and even more vibrant local food market. May 29th, 2015 18:00 → May 30th, 2015 17:00. Get involved!